Ronald J. Shurer II, recipient of the U.S. Medal of Honor, for going above and beyond the call of duty on April 6, 2008, while assigned to Special Operations Task Force in Afghanistan during Operation Enduring Freedom, will be honored at the WSU-UW football game on Saturday, Nov. 4, at Martin Stadium. His first year at Washington State University, a young Ron Shurer helped cheer the Cougar football team all the way to the Rose Bowl. A lot has changed, indeed, particularly for Shurer. The former Special Forces combat medic, now serving as a member of the U.S. Secret Service, returns to his alma mater a national hero. 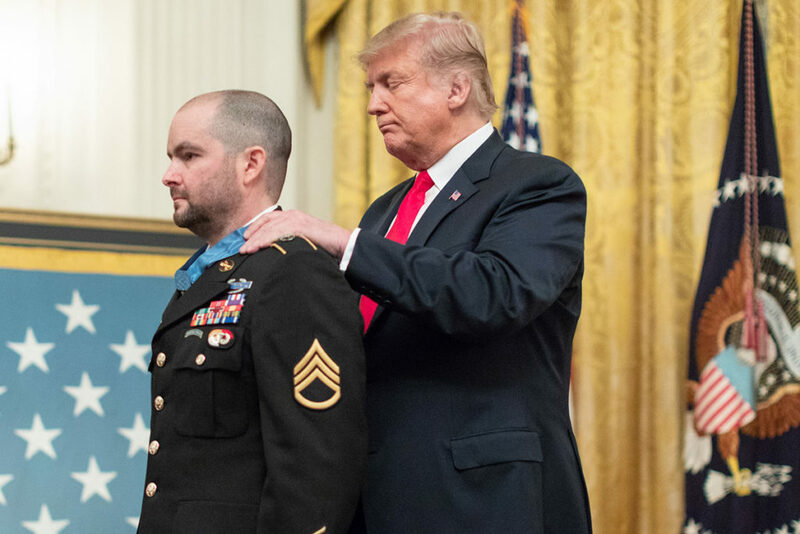 Shurer did two tours in Afghanistan with the U.S. Army, and his valor during the 2008 battle of Shok Valley earned him the Medal of Honor, bestowed last month during a White House ceremony where the gratitude of a nation was draped literally around his neck. Not a single U.S. soldier died in the six‑hour battle, despite multiple casualties, as Shurer scrambled through heavy enemy fire to treat and evacuate the wounded while helping hold the attackers at bay and being wounded himself. At this year’s Apple Cup, he’ll hoist the Cougar flag and be recognized during the annual rivalry between Washington and Washington State. He’ll also add another honor to his impressive list of accomplishments, the WSU Board of Regents Distinguished Alumnus Award. Regents selected him for the prestigious honor during their Nov. 16 meeting. Shurer, for his part, is taking it all in stride. Enlisting in the military after college was almost a foregone conclusion. Both of his parents served in the U.S. Air Force, and his grandfather and great-grandfather served in the military as well. But his first attempt ended in unexpected rejection. He applied and initially was accepted for officer candidate school with the U.S. Marine Corps in early 2001, as he prepared to graduate from WSU with a bachelor’s degree in business economics. The application later was declined because of a medical issue, a move that President Donald Trump bluntly described as “a bad mistake,” adding that the military obviously made up for it. With his postgraduation plan scuttled, Shurer enrolled in graduate school at WSU, but just a few weeks after the fall semester began, the 9‑11 terrorist attacks occurred. This time, he approached the U.S. Army and by 2003 was at Fort Bragg, North Carolina. 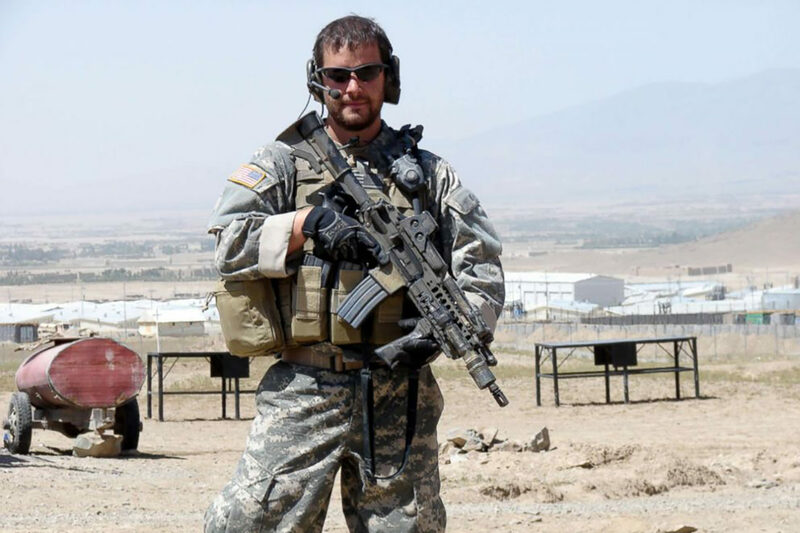 Two years later, he was accepted for Special Forces training and donned the elite green beret. In the Special Forces, medics are part of the offensive fighting capability of their units. Their medical training is considered a secondary skill similar to how others in the unit might have demolitions expertise or are trained in radio operations. Because of that, they receive no special protections that are supposed to be afforded medical personnel in war zones. By 2008, Shurer was a staff sergeant and part of a unit that was hunting terrorist leaders in the rugged mountains of Afghanistan. On April 6 of that year, the team was part of a larger force dropped by helicopters into the remote Shok Valley of northeastern Afghanistan. The terrain was so rugged, the helicopters were unable to land and soldiers had to drop about 10 feet into a river. A short time later insurgents that were part of a force estimated at over 200 strong opened fire from concealed positions. Shurer was tending to nearby wounded when he learned that forward units were pinned down with multiple severe casualties. He fought his way toward the most critically injured, stopping at one point to treat a shrapnel wound suffered by a teammate. When he reached the forward units, he helped keep the enemy force at bay while stabilizing more than a dozen wounded soldiers. Snipers targeted him, grazing his arm. A bullet tore through another soldier’s arm and hit Shurer’s helmet, which he said felt like someone had bashed him over the head with a baseball bat. He thought at the time that he wouldn’t survive the battle, paused to say a prayer asking that his wife and family find peace with whatever might happen to him, but then returned to developing a mental list of immediate battlefield needs and methodically working down it. Eventually he was able to begin evacuating the wounded, still having to dodge and return gunfire. Back home, his wife Miranda knew something was different and was trying not to worry. Technology has dramatically improved the ability of deployed soldiers and their loved ones to stay in touch and the couple talked regularly, even when half a world away from each other. But Miranda hadn’t heard from her husband in a while. That typically meant he was on a mission. She had sensed something was getting ready to happen the last time they talked but knew he wouldn’t be able to tell her anything if she asked. Within the tight‑knit community of military spouses, word of the Shok Valley battle had started to spread. Miranda struggled to remain positive as others began hearing from their deployed spouses, then felt a sense of relief when his call finally came. He had been checking on his wounded teammates back at the medical facilities in Jalalabad before taking time for himself. Shurer left the Army a little over a year later and was hired by the U.S. Secret Service, where he serves as part of the Counter Assault Team, which protects the president from possible attacks. He and Miranda, along with their two sons, live in Virgina. This weekend in Pullman, Miranda and their two sons are looking forward to seeing the university they’ve heard so much about over the years. The U.S. Army has a short biography of Shurer and a summary of the heroics that earned him the Medal of Honor, including locator maps and photos.